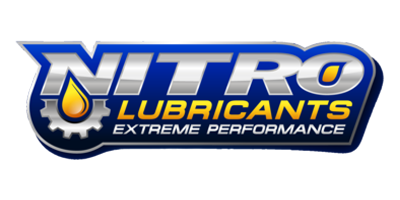 Round six of the Nitro Lubricants, 2017 AMA Championship Snow Bike Series returned to the legendary West Yellowstone Expo and hit a high note with a fun course and warm, 38F temperatures, (and plenty of snow). 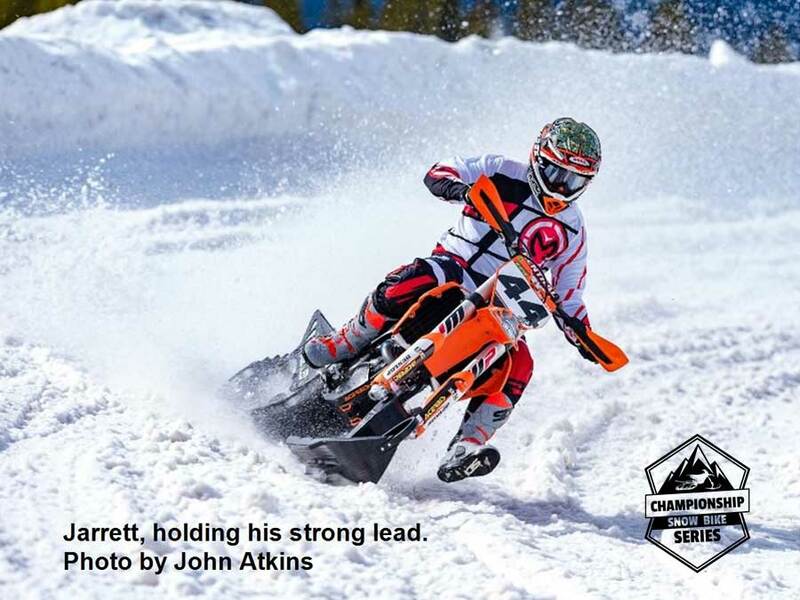 This season has been an interesting one and it is far from over, with two rounds remaining in the 2017 AMA Championship Snow Bike Series. Ageless off-road champion, Jimmy Jarrett started the season off strong, steering his KTM, Timbersled to second at round one and following up with a pair of wins at rounds three and four, but he missed rounds four and five, and scrappy, young, Midwestern racers, Cody Thomsen, (YAM, Camso), Keaton Ward, (KTM, Timbersled), Harris Huizenga (KAW, Timbersled), and Mick Olson (KTM, Timbersled) all raged in his absence at rounds four and five. Would the 40-year old Jarrett have a prayer against the kids when he returned? The answer turned out to be a solid YES! After having some mechanical issues with his bike early in the day, Jarrett finally transferred to the elite A Main and when the flag dropped for the start, he pulled an awesome holeshot and never looked back, storming to win the A Main, his third of the year. For the first couple of laps, it looked like the incredibly fast Harris Huizenga might challenge Jarrett, but Huizenga let his desire for TOO much speed take him out. After winning rounds 4 and 5 in Jarrett’s absence, the North Dakota racer was eager to prove that he could beat the veteran, and he started reeling him in quickly. But just as he caught Jarrett, he over jumped and crashed, quickly bouncing back up, down but not yet out. Behind by half a lap, Huizenga once again pinned his powerful Kawasaki and began passing others like they were standing still, but finally gravity caught up with him and down he went again, this time knocking the wind out of himself. He finally got restarted, shaken but uninjured, but was done for the day. A common question these days is “who is the fastest snow bike racer on the planet?” For raw speed, Huizenga is certainly near the top of the list and as soon as he can season his talent a bit, he will be a true force to be reckoned with. Meanwhile, without Huizenga to hound him, Jarrett checked out, cutting consistent 49 second laps on the jumpy, twisty track, while Keaton Ward and Cody Thomsen sped along close behind, trying in vain to gain some ground on the leader, a guy almost old enough to be their dad. Both the B and C Mains were also fun to watch. A stacked, qualifying group one and some bad luck put several really fast guys (who normally ride in the A Main) in the lower rated mains, but everyone was a good sport about it and Idaho’s Brady Lasher and California Endurocross pro, Cory Graffunder, staged an early battle before Lasher took the B Main win. Washington racer Waylon Caldwell was another speedy guy who suffered from rotten luck all day, but in the end, he looked solid and smooth as he won the C Main. The women’s race was the usual clash of the Titans between South Dakota’s Shayna Lier (HON, Timbersled) and Idaho’s Shayla Fulfer, (KTM Timbersled), with Lier taking the win. Six women, none of them slow, showed up to race and clearly snowbike racing is shaping up to be a terrific sport for women. The Senior class went to Montana’s Jason Weis (KTM, Timbersled), who ultimately prevailed over Minnesota’s Pete Olson, (KTM, Timbersled). Round 7 of the AMA Championship Snow Bike Series will be held at the stunning Diamond Lake Resort in Central, Oregon on March 26, 2017, and will feature plenty of snow, since the Central Cascades have been enjoying a stellar winter. There is over 6 feet on the ground right now at the site, with more on the way, and although the women’s title is essentially locked up, the men’s and 40+ classes are far from decided and there are several different guys who could end the season as AMA Snow Bike Champions. Special thanks to: Robbie the Groomer, MWR, Thad and Robert Lawrence and the West Yellowstone Chamber of Commerce.